Mt. 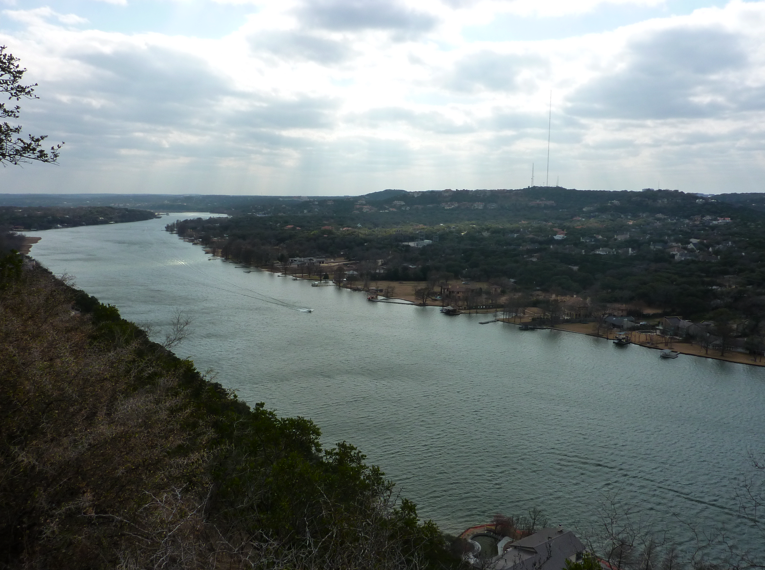 Bonnell is an Austin hotspot, popular with tourists and locals with out-of-town guests. 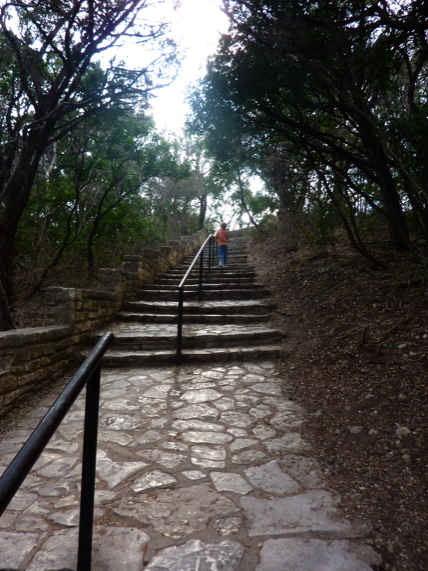 If you’ve never been, it is basically a whole lot of steps leading to a high spot with a gorgeous view. In fact, at 775 feet, Mt. 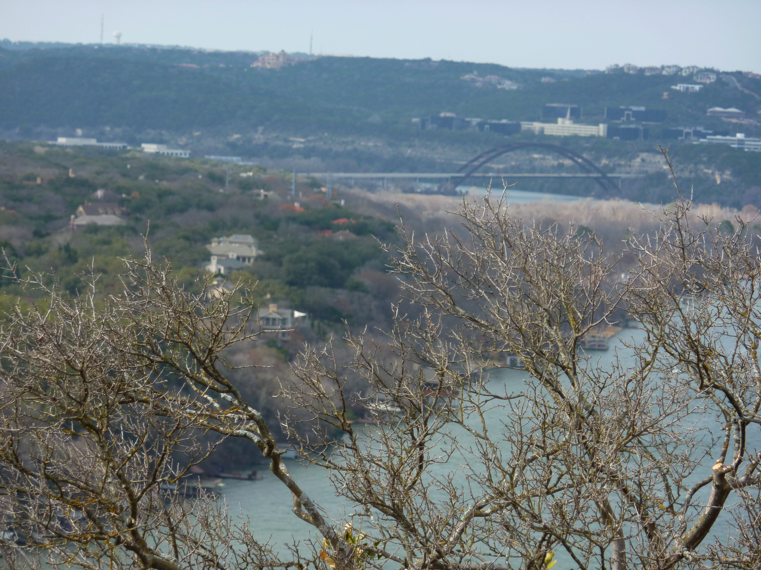 Bonnell is generally considered to be the highest point in Austin. 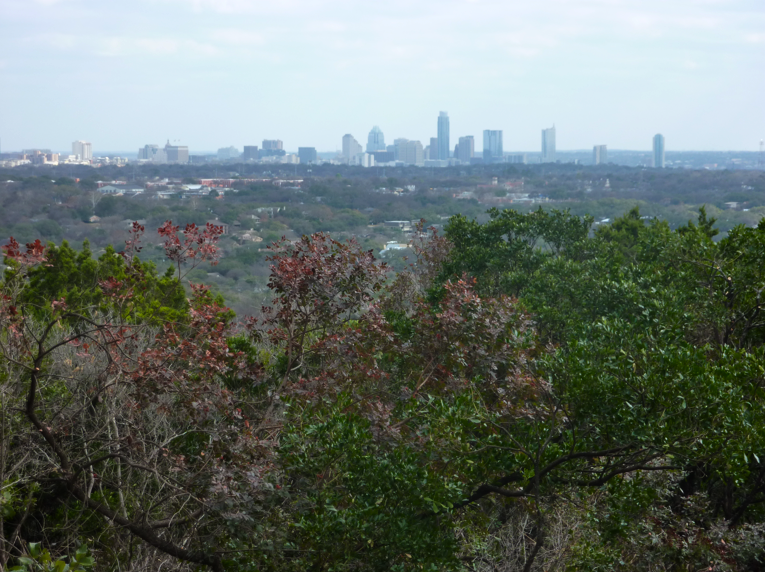 It’s a steep climb, and not even a little bit stroller friendly, but it is fun to check out the city skyline while exploring the mini trail at the top. 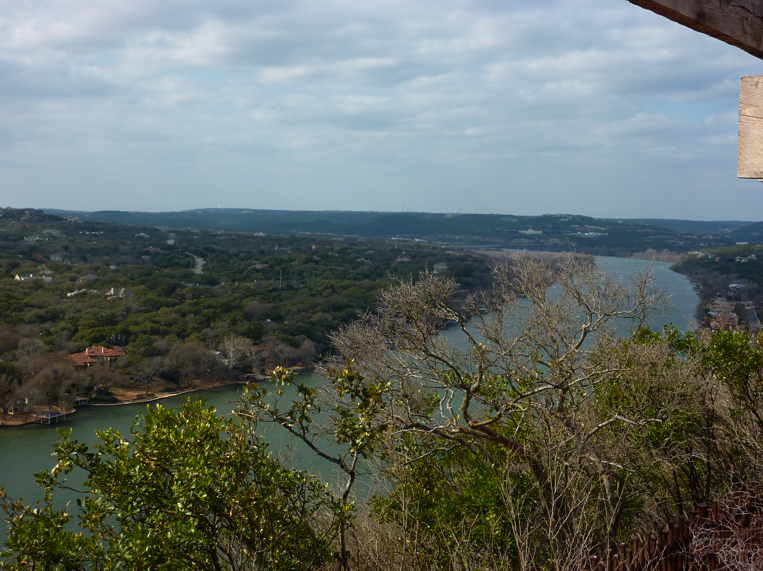 Your entire visit will probably only take half an hour, unless you pack a picnic, to enjoy the view a little longer! Mt. 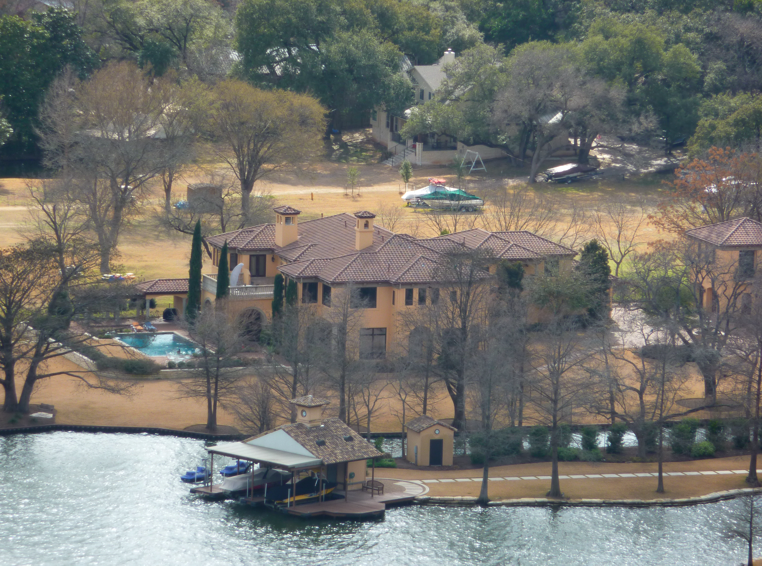 Bonnell is also a great vantage point for checking out the pricey real estate below, lining Lake Austin. My daughter couldn’t get enough of the “castles” with matching “mini castles” (boat houses). There is no parking lot at the base of Mt. Bonnell, but there is free parking along the street. 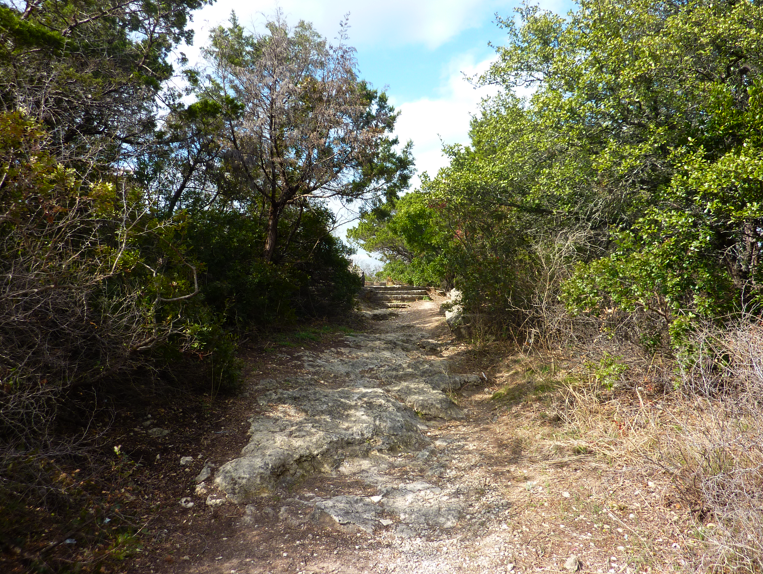 Covert Park is open daily from 5 a.m. to 10 p.m. When you’re done exploring Mt. 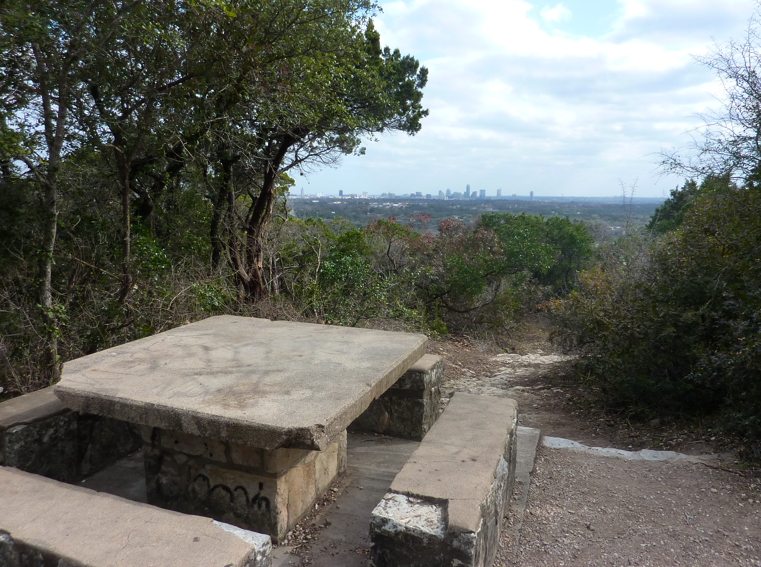 Bonnell, be sure to head down the street to visit Mayfield Park and Nature Preserve and Laguna Gloria. These three free spots together make a lovely family outing.